Watered-down NFL game picks: I’m baaack..! 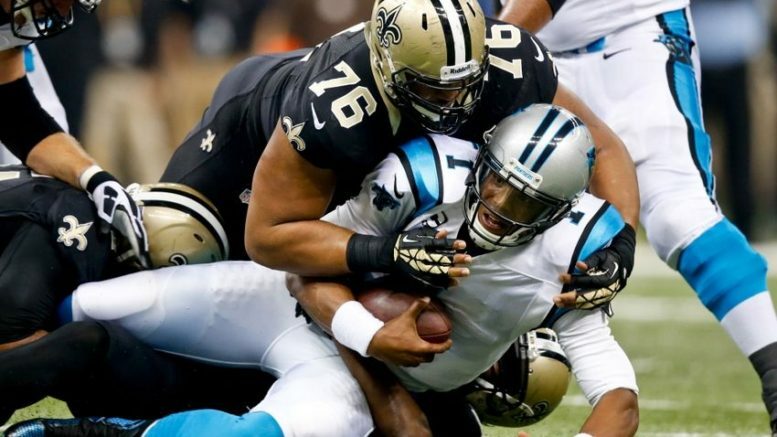 Cam Newton has been sacked 23 times in just eight games this season. Another game that no one really wants, but football junkies really need. It’s the Saints (4-5) and Panthers (3-6), combined winners of five of the last seven NFC South titles. But this year is different for both scuffling teams. Worse yet, both clubs are coming off of demoralizing losses. Carolina squandered a 17-point lead at home to Kansas City, while the Saints not only blew a fourth-quarter lead to Denver, they lost in the most shocking fashion imaginable, when a potential go-ahead extra point was turned into a two-point, game-winning runback by the Broncos. Nothing has come easy for the Panthers this year, who are one of just three teams entering Week 11 that has yet to win a division game. Here’s predicting that for this one night, the defending NFC champions find just enough of their 2015 form to get by. The pick: Panthers. Be the first to comment on "Watered-down NFL game picks: I’m baaack..!"